There are several web servers for the Raspberry Pi. The easiest way is with the "lighttpd". Here you have to least configure and the installation is effectively done with a command on the command line. 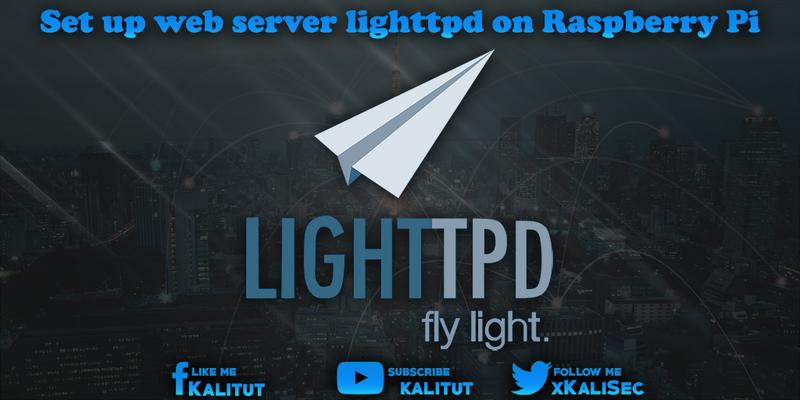 task Install the web server "lighttpd". There are several web servers for Raspberry Pi. The easiest way is with the "lighttpd". Here you have to least configure and the installation is effectively done with a command on the command line. Install the web server "lighttpd". Check the availability of the web server over the local network. Create a new HTML page and make it available through a web server. If all went well, that will be done with "Started Lighttpd Daemon." acknowledged. Then we open a web browser and the host name of Raspberry Pi in the address bar. If everything went well, the standard page of the Lighttpd server ("Placeholder page") appears. You may have given your Raspberry Pi a different hostname. Alternatively, you can also use the IP address. The webserver directory is located at Raspbian Weezy under "/ var / www" and at Raspbian Jessie under "/ var / www / html". Of course you can change these default settings later. For now we leave it that way. In these directories, we will later remove the HTML files. Before you can now put files in the web server directory, you should successively set a few rights. This creates the user group "www-data" if it does not already exist. Then the user "pi" is assigned to this group and the web server directory "/ var / www / html" is passed as the owner. New files are automatically assigned to the group "www-data". Note: In order for the permissions for the user "pi" to be accepted, he must log in again! Note: It can happen that the file can not be saved. In this case, the permission for the user "pi" is set incorrectly or it was forgotten to reload the configuration of the web server. Running a web server on Raspberry Pi is just half the fun without PHP. The point is to extend the already installed web server "lighttpd" with PHP5 support so that PHP files can be executed.